Moving For Better Balance Class - Mondays and Wednesdays 3-4PM. Pikes Peak Community CLub, Divide, CO.
To prevent disease and to protect and promote the health of Teller County, Colorado citizens by assuring quality preventative health programs and services. Teller County Public Health and Environment values and welcomes people of all ages; ethnicities; genders; gender identities/expressions and sexual orientations; languages spoken; nationalities and cultures; physical, mental, and developmental abilities; races; religions; and socio-economic, insurance, and immigration status. Teller County Public Health is a department within the Teller County Government that exists to promote our Vision of "Healthy Mountain Living" in our community. It is monitoring the health status of the Teller County citizens and forming community partnerships to identify and solve heath problems. It is informing, educating and empowering the community to take control of its health. As we advance into the new millennium, Teller County Public Health looks forward to working with the community to address issues of teen pregnancy, drug and alcohol use, and access to medical care. Our goal is to develop policies and plans that support individual and community health. Teller County Public Health is funded by tax dollars and individual state and private grants we apply for based on community assessment data and state legislation (exp. tobacco tax dollars) and fees for services and donations by individuals and businesses (exp. pharmacy fund that is a joint initiative with Community Partnership of Teller County). Teller County Public Health also accepts donations to enable continuation of our many programs. 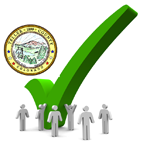 Our governing board is the Teller County Board of Health (aka: the County Commissioners).